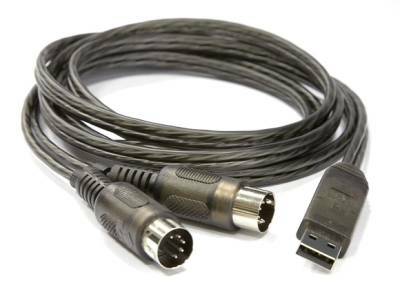 Manufacturers have attempted to make USB connections for audio and MIDI more transparent before. We’ve seen mics with USB cords instead of XLR, and USB cables with little humps in the middle with built-in circuitry for MIDI connections. 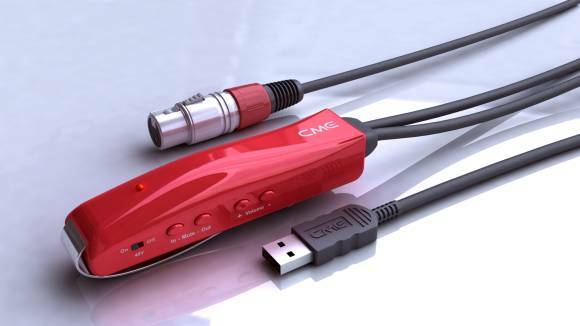 But new cables announced this week by Chinese manufacturer CME go further: a USB/MIDI cable that’s as thin as a standard USB connection, a USB mic interface with integrated +48V phantom power, and a guitar/bass/keyboard USB interface. The U2MIDI is a USB 2.0 (not the usual 1.1) MIDI interface, with plug-and-play driver-less connection to Windows, Linux, and Mac. You can even use multiple cables on the same setup. This could be a perfect complement to the MIDI-only Faderfox control hardware beloved by Traktor and Ableton users. The U2GKB plugs guitars, keyboards, and bass into a USB 2.0 connection, with a minijack for plugging in headphones for monitoring. The U2MIC does the same for microphones, but surprisingly with +48V phantom power (according to CME, the “first” such device to do so). Conveniently enough, both include a dedicated mute switch and pre-amp on/off buttons. The big question for me on the audio devices is quality. CME promises “high-quality” A/D converters and pre-amps, but since I’ve never seen a press release that promises “low-grade, cheap electronics”, there’s no saying for sure until this ships. Keep your fingers crossed. I’m certainly excited about the MIDI cables. With most of my gear having gone USB, this could be just the thing for the last holdovers when I want to reduce cables and gear — and I’m sure I’m not alone.